iHome, the folks who brought you the hot iPod alarm clocks you’re starting to see in every hotel room similar to this one, is going to release some beautiful new iPod-compatible audio systems. We had the chance to take an early look at two of them. One is small and loud, and the other’s got Bluetooth. They’re still in the concept stage. Here’s what we’ve gathered so far — mind you nothing is set in stone. The iH69 iPod Computer Speaker System with Computer Sync, in addition to being a mouthful, is a compact, versatile solution for all your dorm/desktop/bedroom audio needs. 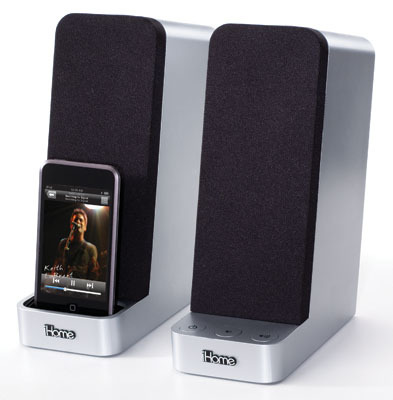 It docks, charges, plays and syncs your iPod and computer audio (or any other audio source for that matter) and if it follows company trends, will sound as good as some of the larger computer speaker options out there. It’s being marketed as a clutter-reducing sound solution. The iH69 also has a remote control and is built on 20-watt, 2.5″ Reson8 speakers.  iHome showed the iH69 concept at CES in January. Look for it later this year in the $200 range. For a more robust choice, the iP47 looks like it will be a sick desktop solution with built-in Bluetooth to wirelessly stream your audio from a cell phone, PDA or computer. It also works with your iPhone and has a speakerphone/microphone combo that lets you take/make calls right on the device. 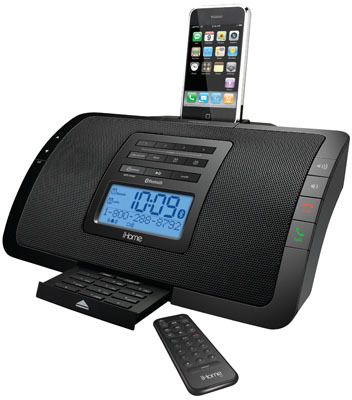 Like we’ve seen with other iHome clock/radio options, the iP47 also features dual alarms, AM/FM radio, snooze, etc. iHome may have a few more tricks up its sleeve later this spring. Stay tuned.